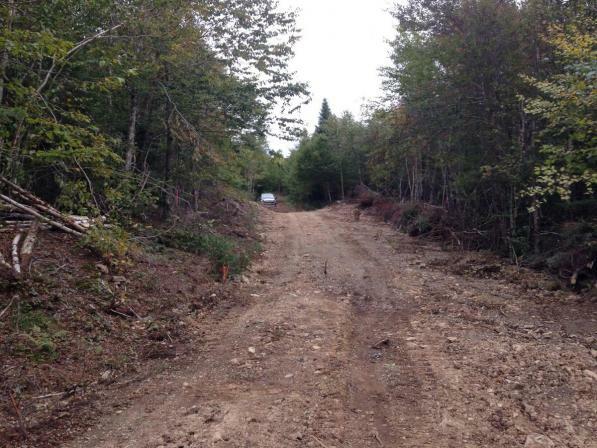 Dirt road that accesses our drill target at Bass River. 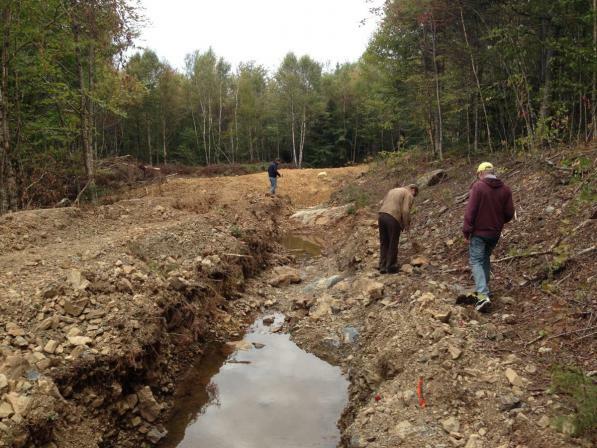 Trench that was dug uncovering mineralized rocks. This is close to where our primary drilling will take place. 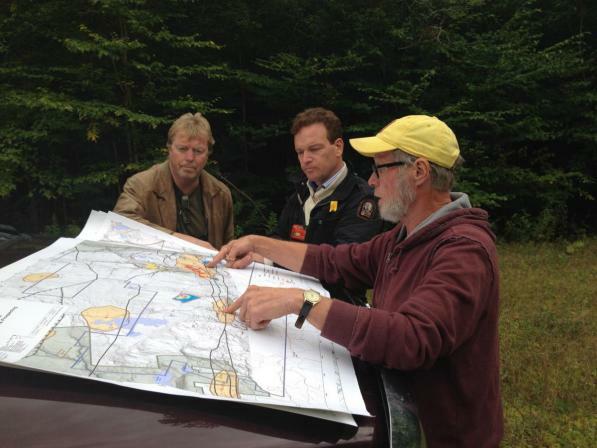 Chris Berlet, CEO and Don Black, Chief Geologist and Project Manager, showing Greg all the data and maps of the Bass River Project. Don Black, Chris Berlet with Mike Ballanger, who is the Chairman of the Adivisory Committee, going over the maps on the Bass River Project. 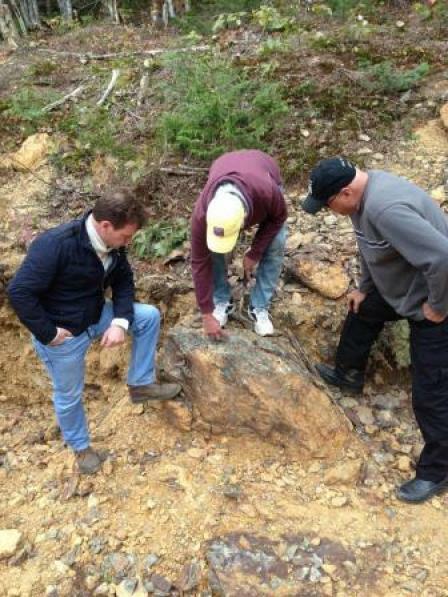 Chris, Don and Greg looking at one of the mineralized rocks that was slightly below surface. The trench exposed this rock which gives us another clue that we are in the right area. 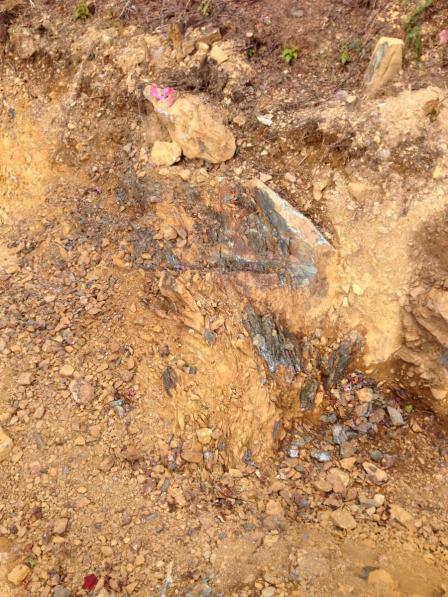 More mineralized rock uncovered by the trench. 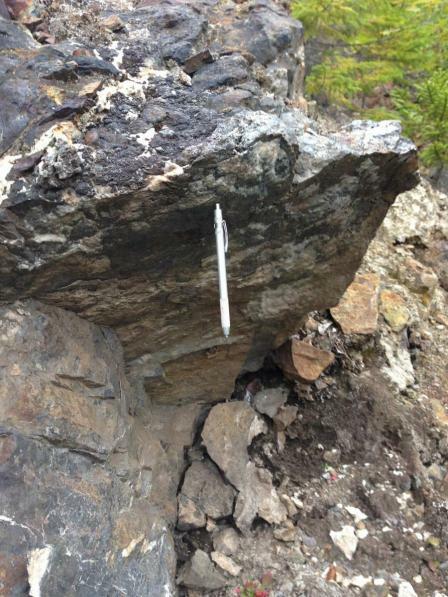 On our secondary VMS target, Don Black showed us a large outcrop of magnetite. The metal pen attaches itself to the magnetic nature of the rock. 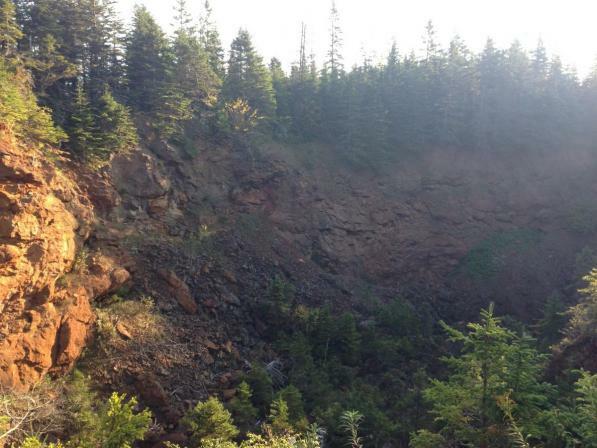 One of the historic iron ore open-pits that was operated in the late 1800's in the Bass River area. This iron ore production was the largest of the British Empire at the time. 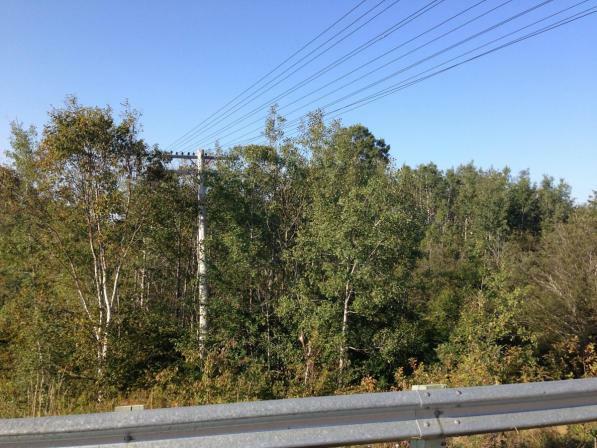 Power lines run right through the middle of the property along side the railroad tracks. 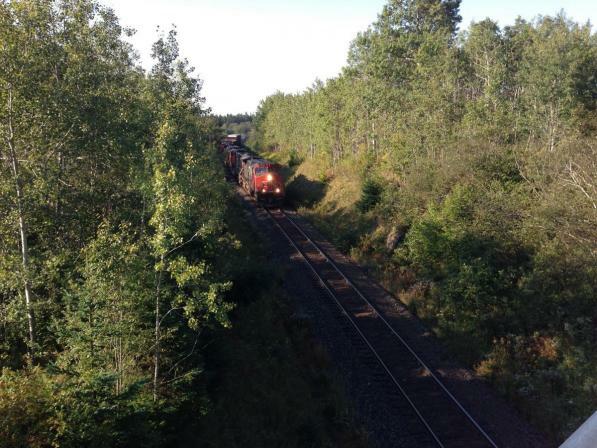 Canadian National Railroad train goes right through the Bass River Project.